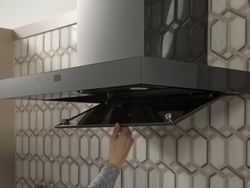 Built-in pizza oven delivers hobbyist chefs a first-of-its-kind way to cook authentic, restaurant-quality pies of all tastes styles at home. LOUISVILLE, Ky.—Jan. 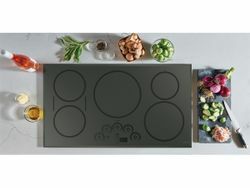 19, 2016—Restaurant-style pizza has long been an aspiration for home chefs everywhere, but lacking has been a reliable way to achieve the perfect slice. 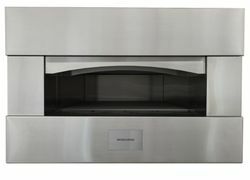 Residential pizza oven options have run the gamut from cumbersome and complicated to convenient yet disappointing, spurring the development of the new Monogram® Pizza Oven. Perfectly crisp crust. Browned, bubbling mozzarella. 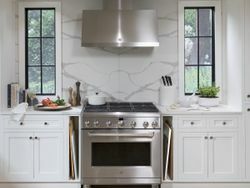 The Monogram Pizza Oven brings restaurant-quality cooking capabilities to the home kitchen, enabling home chefs, entertainers, families and pizza enthusiasts to recreate their favorite pies—from the perfect Neapolitan to New York style and everything in between—quickly and with ease. 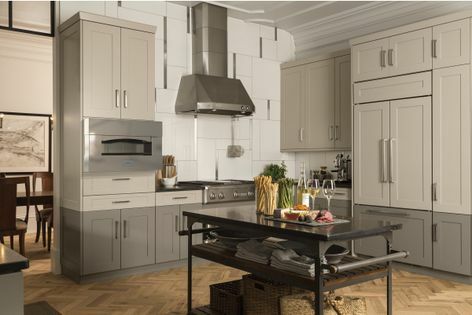 Combining elegant Monogram styling and the sophisticated technology of FirstBuild, the Monogram Pizza Oven brings authentic old world taste to today’s high-end kitchens. 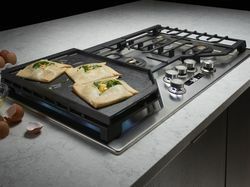 GE’s Monogram Pizza Oven brings restaurant-quality cooking capabilities to the home kitchen, enabling home chefs, entertainers, families and pizza enthusiasts to recreate their favorite recipes quickly and with ease. On time, guaranteed. 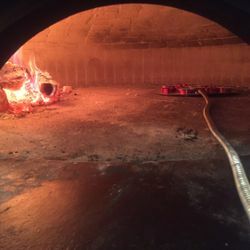 Worry not about delivery times from the local restaurant; the Monogram Pizza Oven can cook pizzas in just two minutes after a speedy 30 minute preheat. The Monogram Pizza Oven is available in the third quarter of 2016, with an MSRP of $9,900. FirstBuild is a global co-creation community backed by GE Appliances, a Haier company that harnesses the brainpower of the maker movement to change the way major home appliances are conceived, designed and manufactured. 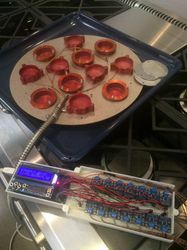 A physical state-of-the-art microfactory on the University of Louisville campus and online forum, FirstBuild speeds products from mind to market and enables customization through small batch production, without the costs and risks of traditional mass manufacturing. For more information about how to get involved, visit FirstBuild.com. Using a data collection device, engineers from FirstBuild went on the "Great American Pizza Tour," from coast to coast to collect the “thermal signatures” of famous pizza ovens.